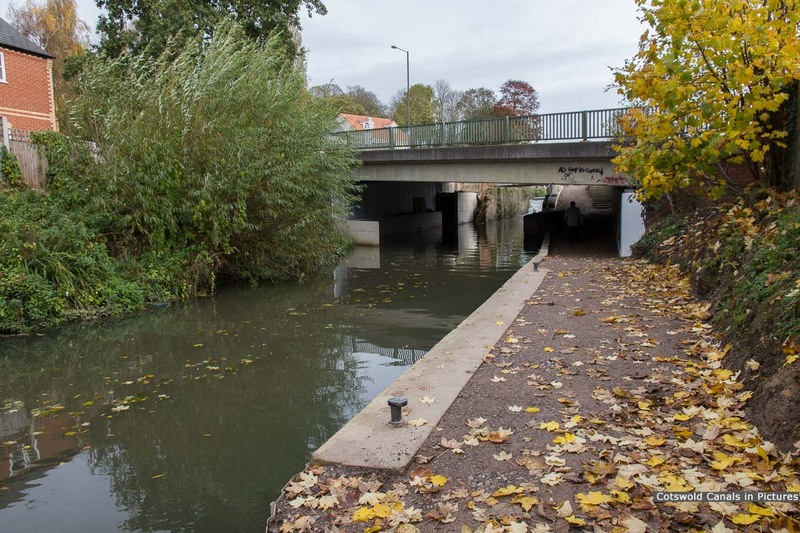 The original canal bridge was replaced in 1991 as a part of a bypass scheme. 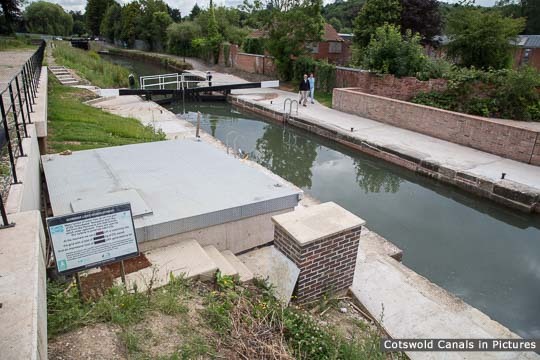 The tail of Dudbridge Lower Lock is under this bridge. 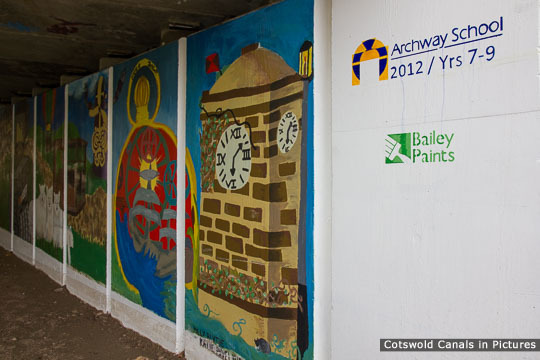 In 2012 Archway School (Stroud) painted a mural under the bridge on the towpath side of the canal. A pdf version of this can be downloaded at the link below. This has been 'stitched' together from a number of photos taken under the bridge. 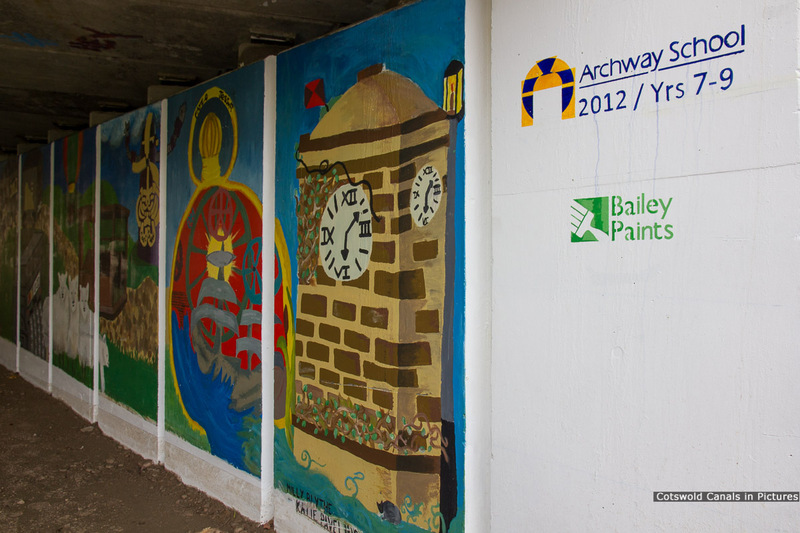 Bridge mural by Archway School, Stroud. 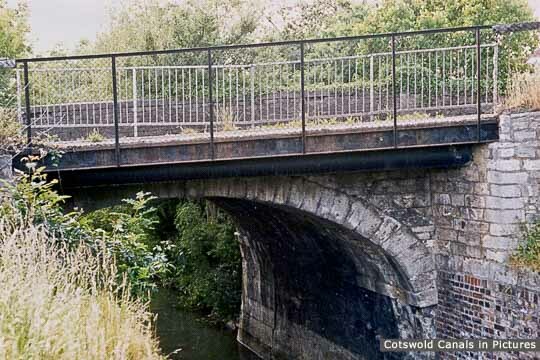 Original road bridge - replaced in 1991.